Santiago is a political prisoner in Montevideo, Uruguay, in the 1970s. His family and friends are scattered, exiled from the country they call home. The book begins with Santiago writing to his wife, Graciela, who is living in Buenos Aires with their young daughter, Beatriz. In Buenos Aires, too, is Santiago’s father and Ronaldo, his friend and former fellow revolutionary. Interspersed by some sections where we hear from the author in his own voice, relating some of his own experiences as a political exile, the book rotates among these characters, letting us see each through their own eyes, and through the eyes of the other characters. This is one of the most beautifully written books I’ve read in a long time, and credit must go to the translator, Nick Caistor, who has done a marvellous job. Although it’s based around the revolutions of South America, it is not about politics as such; rather, it is about the impact that political upheaval has on the individuals caught up in it. It’s about home and exile, loneliness, longing, belonging. It’s about loyalty and love, and hope, and sometimes despair. It’s profoundly moving – full of emotional truth. As Santiago sits in jail not knowing when – if – he’ll be released, he writes letters full of love to Graciela. For him, life is static, his memories of their love the thing that has sustained him through the torture and now the sheer stultification of his imprisonment. But for Graciela, life is a moving thing – she is still young, in a new city, with a job and a growing child, and for her the present is more vivid than the past. She finds herself increasingly attracted to Ronaldo, but knows that Santiago needs her love and loyalty. Graciela is the only character in the book who doesn’t speak for herself, so that the reader must try to understand her through what the other characters say. She is in a different kind of prison to Santiago, but one which has just as effectively halted her life. The crux of the story is deceptively simple – what will Graciela decide to do? Rafael, Santiago’s father, is an old man now, exiled because of Santiago’s actions. He muses on the meaning of “home”, feeling homesick more than the other characters, perhaps because for him there is less chance of ever returning. Through him, Benedetti gives a heartbreaking depiction of the kind of homesickness that comes when a person is unwillingly forced to live elsewhere. He captures it beautifully – the odd things one misses, the clinging to people who have come from the same place, who understand one’s own culture, and the eventual almost unnoticeable putting down of fragile new roots, the settling and acceptance, and even the beginnings of a new feeling of “home”. It soothes you, gives you peace of mind to know what’s coming next, to know what’s round every corner, after every streetlamp, every newspaper kiosk. Here, on the other hand, when I first set out walking, everything took me by surprise. And all that surprise made me weary. And then, when I turned back, I didn’t head home, I just went to the room. I was tired of being surprised. Maybe that’s why I started using the stick. To stop being thrown off balance. Or perhaps so that any fellow countrymen I met would say: “But Don Rafael, back there you never used a cane”, and I could reply: “Well, you didn’t wear those guayabera shirts either”. ….On Sundays the streets are almost empty and I wonder where all the millions I saw on Friday can have got to. My Grandpa Rafael says that on Sundays people stay at home to rest. To rest means to sleep. ….There’s a lot of sleep in this country. Especially on Sundays, because there are many millions asleep. If each sleeping person snores nine times an hour (my mum snores fourteen times) that means each million inhabitants snore nine million times an hour. In other words, snores abound. Ronaldo’s voice is more detached, giving us some of the background to what led to Santiago’s imprisonment. But he also talks of exile, giving us a rather more positive view of the possibilities and joys of sharing cultures. There is a feeling throughout the book of South America as one entity, with exiles and refugees from the various revolutions in different countries drifting from place to place depending on where sanctuary can be found. It also takes an interesting view of Cuba as the one country whose revolution has been successful, looked at from the perspective of the communists in other South American countries. 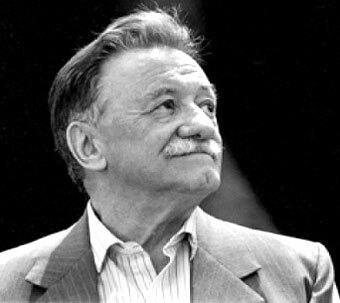 Benedetti’s own sections tell of exiles trying to get to Cuba to make a new life, at the same time as some Cubans were trying to leave to get to the US for the same reason. ….How can we forget that these young people, separated from their surroundings, families, friends, their classrooms, have been denied their basic human right, to rebel as youngsters, to fight as youngsters? The only right they’ve been left with is to die as youngsters. ….Sometimes these young people demonstrate bullet-proof courage, and yet their minds are not disappointment-proof. If only I and other veterans could convince them that their duty is to stay young. Not to grow old out of nostalgia, boredom or rancour, but to stay young, so that when the time comes to go back they do so as young people and not as the relics of past rebelliousness. As youngsters – that is – as life. This is a short book, but has more to say than many lengthier tomes. I have no idea about the political situation in South America in that, or any other, era, but didn’t find this got in the way of my understanding of the book. Fundamentally, it’s about people, and especially people who have been forced out of their homelands – the reasons for the exile are secondary to its impact. And, in the end, it holds out hope: that the human spirit has the resilience to find new ways of living when the old ones are taken away. A wonderful book – highly recommended. NB This book was provided for review by the publisher, Penguin Classics, via Amazon Vine. A very thoughtful review of a thought provoking book. One for the list, thank you FF. Thank you! I hope you can get hold of it, and enjoy it as much as I did. I also hope they translate more of his stuff – apparently he’s very well known in South America. This does sound beautifully written, FictionFan! I like the idea of the multiple voices. And I really like the idea of telling the stories of these individual people. To me, that’s a much more effective way to show how revolutions and other political events impact everyone. So glad you enjoyed this so well. He did a great job of making each of his voices individual – not always easy, and kudos to the translator for managing to carry that forward into the English version. Yes, although I like a political element in a book, it’s always because of how events impact on the people involved. This one was set in a time and place, but it could have been written about any group of people forced into exile. Lovely review, FF! I love seeing all those smiley faces! I studied this time period and the political unrest in my Spanish classes, and I love that this is about much more than that- about the people. Isabel Allende and Gabriel Garcia Marquez include some history in their fiction works. So much fascinating history! I’ve read very little fiction from there too, and haven’t had a lot of success with the little I have read, but this one has restored my faith a bit! A great review to match the great writing of the book! Sounds like a very sad story though. Thank you! 😀 I admit to having sobbed several times during it, but overall the feeling is of people surviving and finding new ways to live. It’s beautifully done! Interesting concept, though it’s not my typical reading fare. However, beautiful writing trumps almost any genre, right?! Definitely works for me – I can forgive a lot if the writing’s good enough, though this one didn’t need forgiving! It sounds as if it’s going to be a lot more political than it actually is. That sounds wonderful. How did you hear about this book? I see my library system has two books by him but not this one unfortunately. I don’t know much about south America, but this sounds interesting. Good translation really makes all.the difference, doesn’t it? Particularly when it includes multiple voices. .
Wow! This book sounds like a real find! I’m already wondering how things turned out for the characters, so have added the book to my list to find out for myself. Oh, I do hope you can get hold of it! I love taking the occasional chance with books from Vine – I’ve discovered lots of unexpected goodies that way.